Webster University’s Forensic and Debate Program is hosting their annual Gorlok Gala tournament the weekend of Jan. 25-27. The team is still in need of judges. No experience is necessary; actually, it is ideal to have a pool of objective critics in order to provide a more sound, competitive and educational experience for the competitors. If interested in judging, please contact Gina Jensen, director of forensics, at jensen@webster.edu. Webster’s Forensic and Debate Team is preparing to host two collegiate tournaments Dec. 1 and Dec. 2. As is always the case, locally hosted tournaments succeed with community support, which includes guest critics. Gina Jensen, director of the program, anticipates as many as 25 schools from states throughout the Midwest. There are two tournaments running concurrently: the Study Break Tournament and the Gateway Swing. The Webster Forensic and Debate team is co-sponsoring a shoe drive for the St. Louis Urban Debate League. 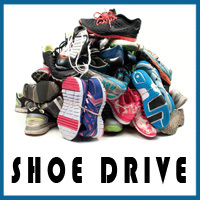 Gently used and new shoes may be brought to Sverdrup room 243 until noon on Friday, Feb. 9, and to EAB 239 from 3 p.m. Friday, Feb. 9, through 6 p.m. Saturday, Feb. 10. Please contact Scott Jensen, drive coordinator and a member of the St. Louis Urban Debate League Board of Directors at jensensc@webster.edu or (314-968-7439) for more information. Webster University’s Forensic and Debate Program is hosting their annual Gorlok Gala tournament the weekend of Jan. 26-28. The team is still in need of judges. No experience is necessary; actually, it is ideal to have a pool of objective critics in order to provide a more sound, competitive and educational experience for the competitors. If interested in judging, please contact Gina Jensen, director of forensics, at jensen@webster.edu. Scott Jensen published two articles in forensic journals and will present a paper next week. ... John Nomikos edited "Intelligence Beyond the Anglosphere: Mediterranean and Balkan Regions." ... Amanda Rosen published a journal article on using games and role-playing exercises to teach research methods in political science, and will present a workshop on the topic. ... Bradley Wiggins published an analysis of "fake news as a socio-cultural and political phenomenon." Webster University’s Forensic and Debate Program needs the community’s help in hosting its annual Gorlok Gala Forensic Tournament from Jan. 27-29. No experience is needed, and your participation helps an award-winning program. Gina Jensen was interviewed on debate strategy ahead of the first presidential debate, Journal news editor Jessica Karins was quoted in USA Today about student reactions to the debate, Sheetal Shah wrote an article on the psychology of movements behind Brexit, Trump and Wilders, Remy Cross discussed counter-terrorism measures on St. Louis On The Air, and Robert Barnidge wrote a column on religious ideology and characterizations of the motivation behind acts of terrorism. 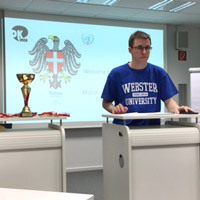 The Vienna campus hosted its first Vienna Debate Derby, featuring three debate societies: Debattierklub Wien, the Webster University Vienna Debate Club, and AFA Debattierclub Wien. Even though this was Webster Vienna's first competition, its four teams performed outstandingly well for tournament novices. 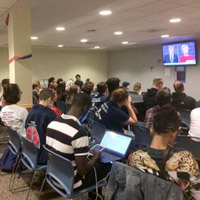 Students and faculty called it a successful introduction of Webster to the Vienna debate scene. Webster’s forensic and debate team brought home two national championships and several individual and team awards from the National Comprehensive Forensic Tournament, held this past week at the University of Kentucky. 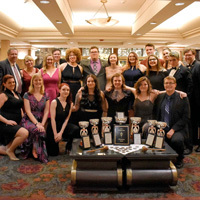 The tournament, sponsored by Pi Kappa Delta, the nation’s oldest and largest forensic honor society, included 84 schools and 700 students who were entered in over 2,400 individual and team events. The Webster University Forensic and Debate Program is excited to be hosting this year’s Missouri Association of Forensic Activities (MAFA) State Tournament Feb. 19-20 in the East Academic Building. Schools from throughout Missouri, as well as some programs from other states will participate. Community members are needed to serve as judges for the debate, speaking, and oral interpretation events. Webster’s Forensic and Debate team opened its spring semester in successful fashion at the Stateline Tournaments hosted by John Brown University (Arkansas) and the University of Oklahoma.